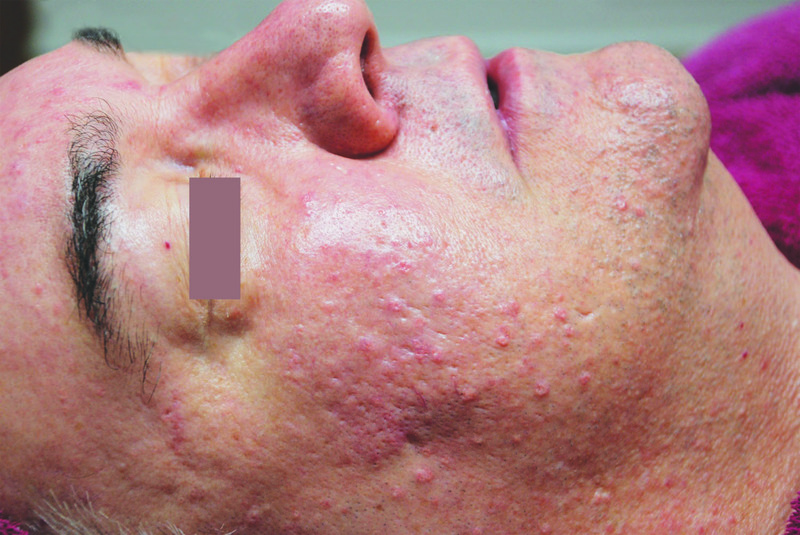 Sebaceous hyperplasia is a common skin condition characterized by painless, benign bumps on the skin that form over time. These bumps may be white, yellow, or pink and may be single occurrences or may cluster into groups. This condition usually occurs in newborns or middle-aged to older adults. They are most common on the face, particularly on the nose, cheeks and forehead, but may also appear anywhere on the body. 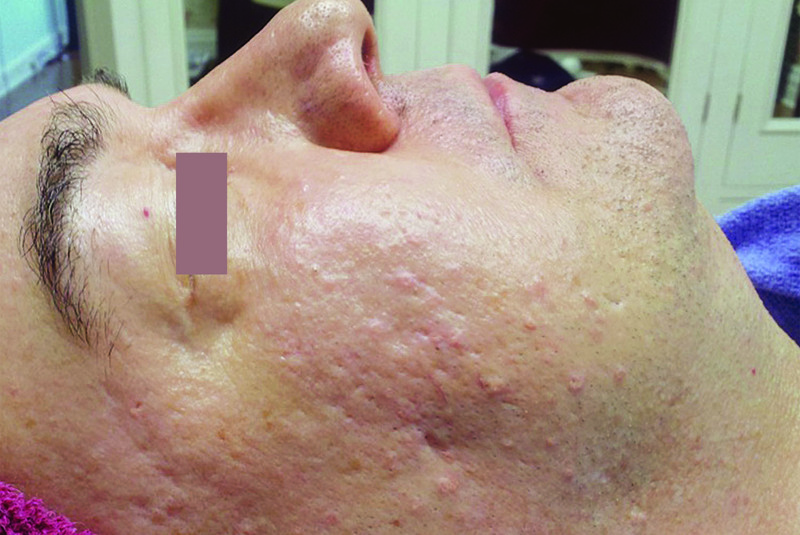 Quite often the treatments offered by dermatologists and skin care professionals may include facial peels, such as salicylic or TCA, needling, liquid nitrogen, prescription medications, and even surgery in extreme cases. 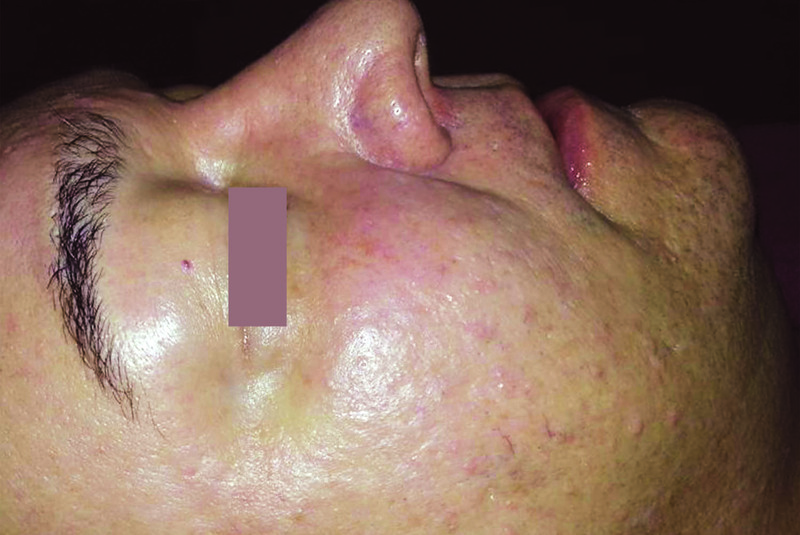 Osmosis Skincare offers a much safer option for treating this challenging skin condition. 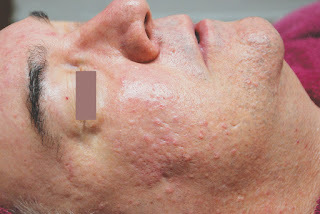 Skin Problem: Sebaceous Hyperplasia all over the face, Acne, Blackheads. 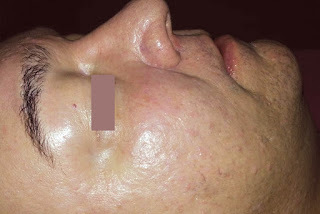 Client has been taking 500 mg Amoxicillin daily for 3 years for his skin condition with no result. Professional treatment given monthly, including. 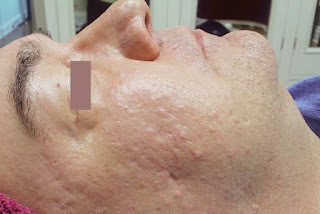 LED facials (blue, green, and red lights) and serums with Catalyst/ Stem Factor and Clarify. Microdermabrasion, Deep Pore Cleansing with Polish.